Bit of an elderly machine compared to most as I have been running this system since 2009. 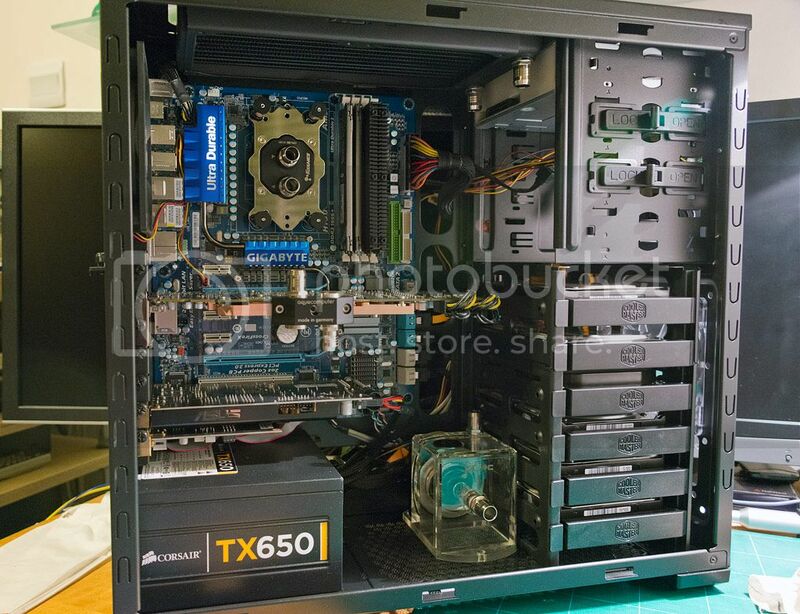 The most recent changes were the CM690II case, an HD6950 and a xonar essence ST which were done in November 2011. 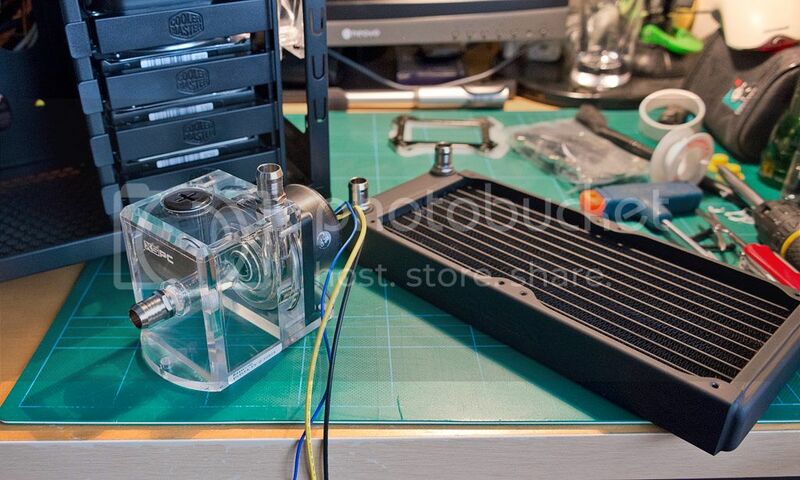 This is how it stood with just basic air cooling. No window presently, not sure if i'll bother getting one yet. I've always run all of my systems on air cooling for the last 15 years, swapping both gpu and cpu coolers out for zalman & thermalright. For a change i left the standard gpu cooler in place as things like the accelero and MK-26 were getting quite expensive and extremely big. These are the temperatures i had been enduring. 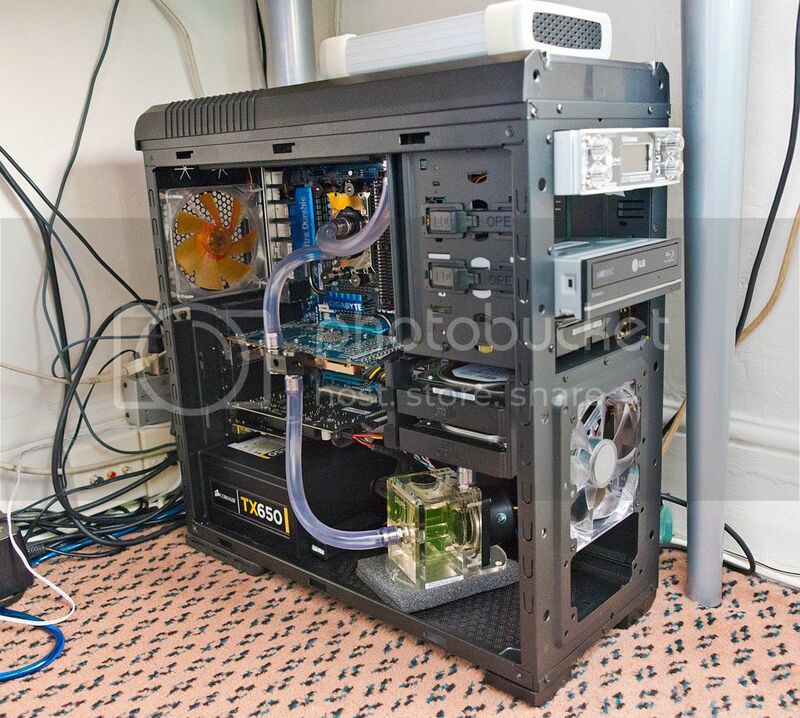 Apart from it running very warm, it was also quite noisy, particularly the gpu cooler. 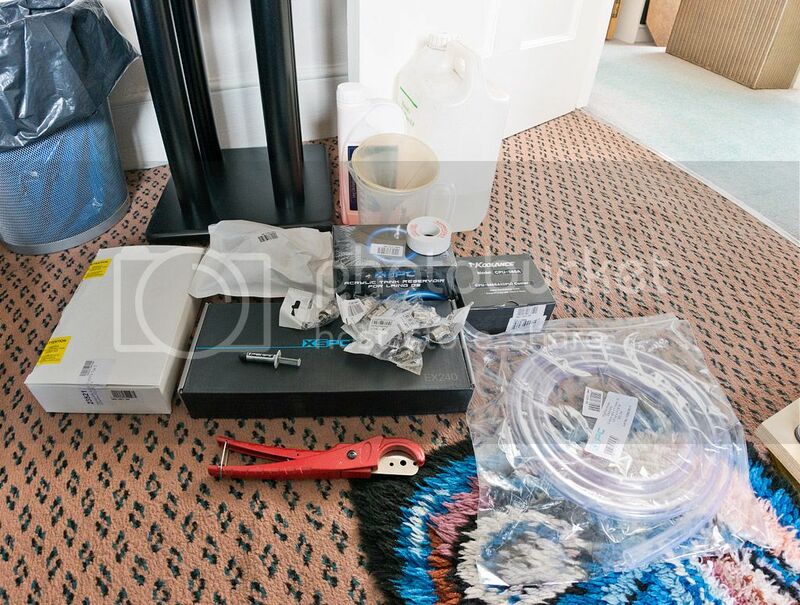 The watercooling plan aims to reduce the temperatures significantly whilst also making the system much quieter. Future plan will be to add another radiator or two where i can squeeze them in. Total : £249.44 (includes shipping : FREE). This was the initial loop design. Pump assembled and barbs fitted to rad, pump and res. only one rad? and that's a 35mm one if i'm not mistaking. you need more and thicker rads. Removed the megahalems, nice looking contact patch. After faffing about with potential rad locations I mounted the EX in the roof with the scythe s-flex and deepcool fans pulling air through. I put the pump in the best location for running the tubing to minimise tight turns. Got on with the tubing then. Not too bad for a first attempt, though not the best as some lengths aren't quite perfect but perfectly functional and zero kinks. 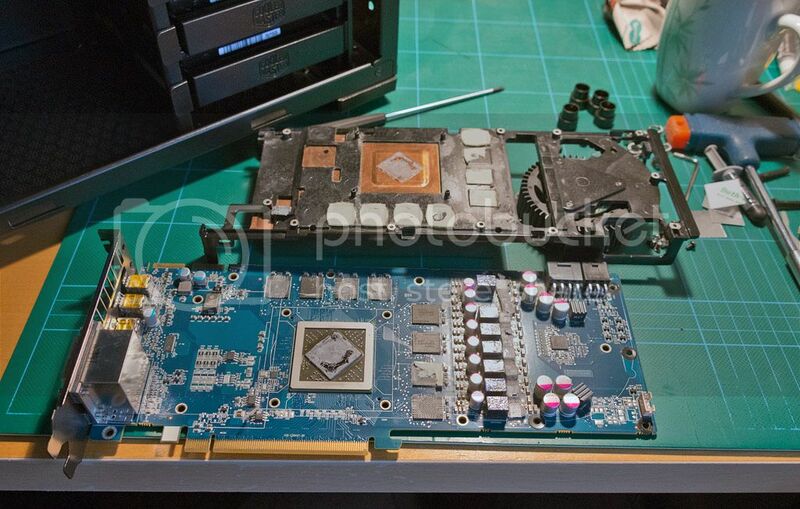 Took about around 2 hours leak testing and bleeding. Zero leaks during the testing and none so far after just over a week. The little bubbles took about 2 days to disperse. Pictures of it reassembled. 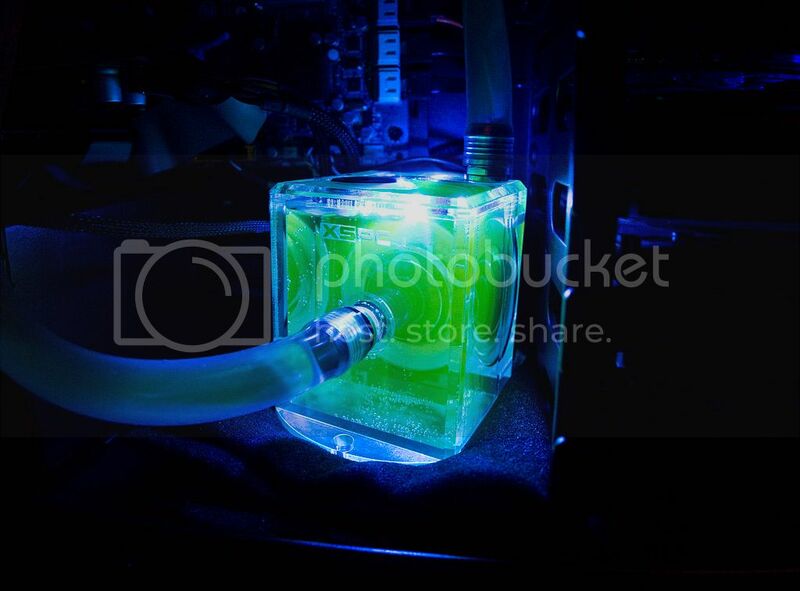 I stuck the pump/res on top of a folded piece of motherboard packing foam which has totally isolated it from the case. Temperatures settled down after a few days. (initially the CPU temps were really high) I'm wondering how much of an improvement the extra 240mm rad and pair of scythe AP15's will make. 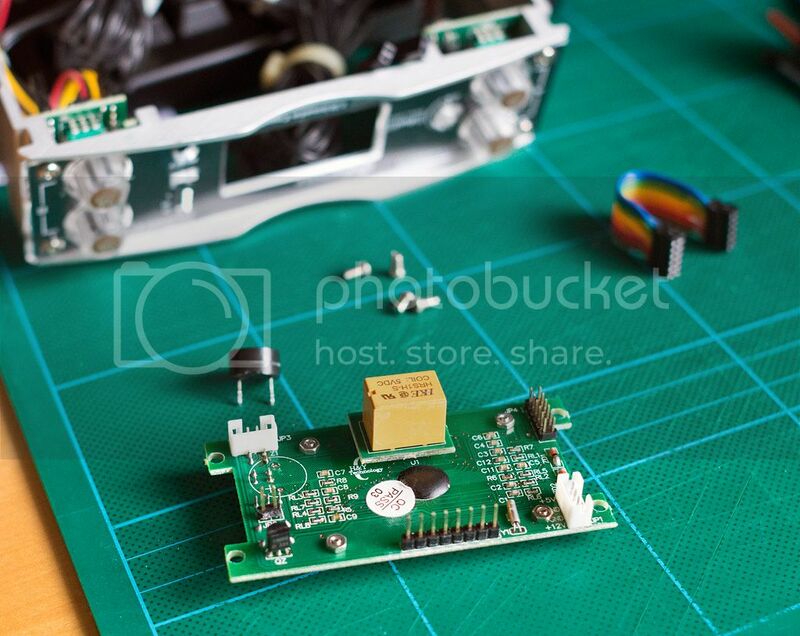 I also removed the fan speed alarm from my enermax fan controller the other day too. It's only been annoying me for the last 8 years. I can finally drop the fan speed below 1000rpm and still have peace & quiet. This leads onto the changes that are due. Noise levels are not great yet, but a big improvement over what they were. 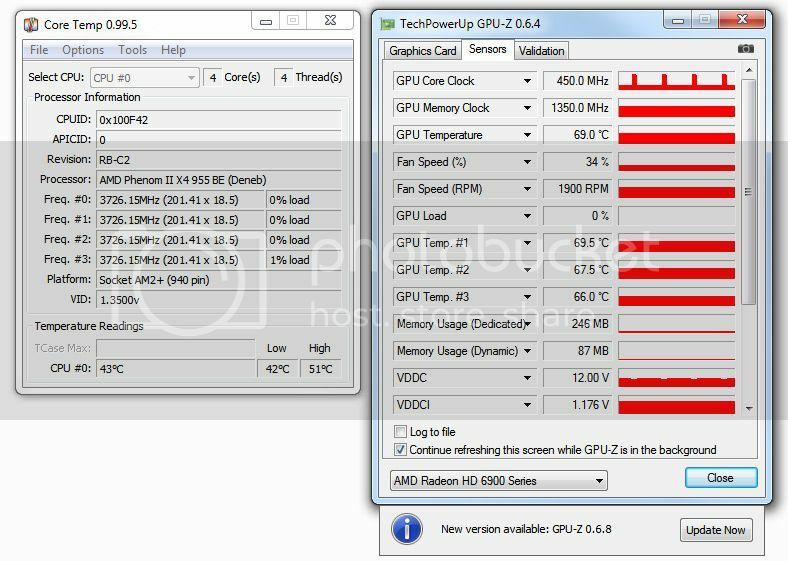 I finally figured out that my TX650V2 does not seem to be adjusting the fan speed and it's just running at a fair rate making a lot of noise. ( circa 50dB ) I could RMA it but then I'd be without a PC for however long that takes and taking it apart and swapping the fan voids the warranty and i've had too many experiences with psu's dying to want to take the chance. I've decided to go for a seasonic supply either the fanless platinum 520W, the 660W XP modular or the X-Series 650W modular. I really regret not going for the HX now as i really would benefit from a modular supply, but I couldn't afford it at the time back in 2011. As said in a previous post, I am waiting for an alphacool XT45 240mm radiator which i will run along with the xspc EX240 which should hopefully provide a fairly big boost to the cooling performance. 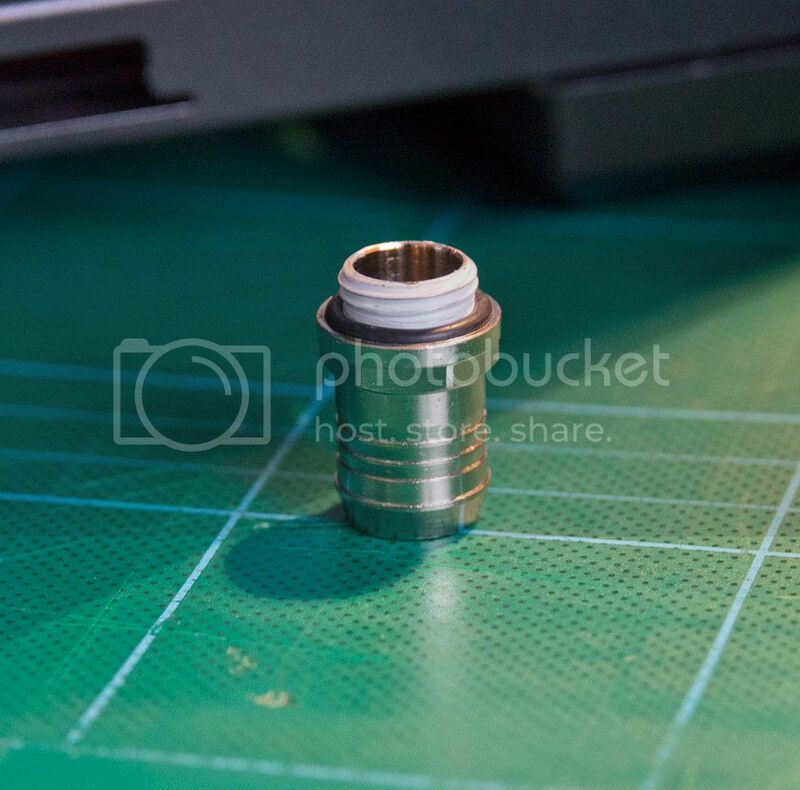 I also have some 45 & 90 degree fittings coming too which should help with tube routing. Not certain which fans I'll put on which radiator yet, though it probably makes sense to put the higher pressure scythes on the higher FPI rad. I'll probably have some trouble with managing to loose 4 of my hard drives and finding somewhere to put the res/pump so i can fit the rad in the bottom. 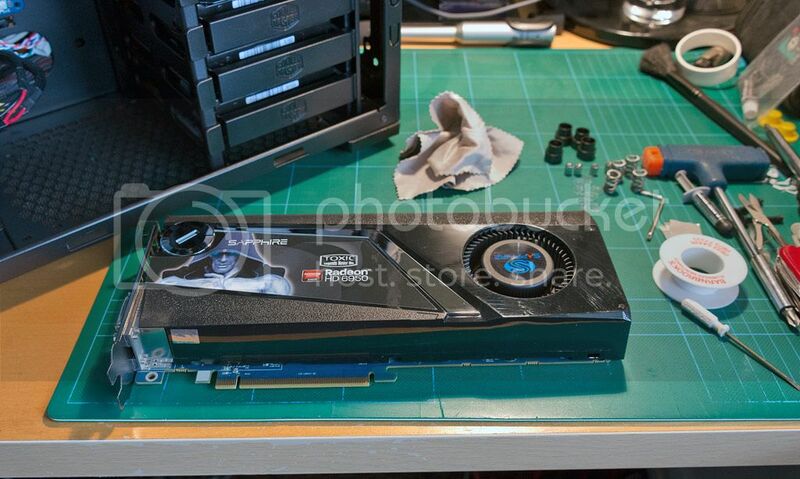 I'll be ghosting the raptor 74 and the WD 80GB drives onto the 250GB WD so that they can be removed. I'll then need to put 2 drives into the 5.25" bays either on rails or get me one of those fancy looking icybox backplanes. 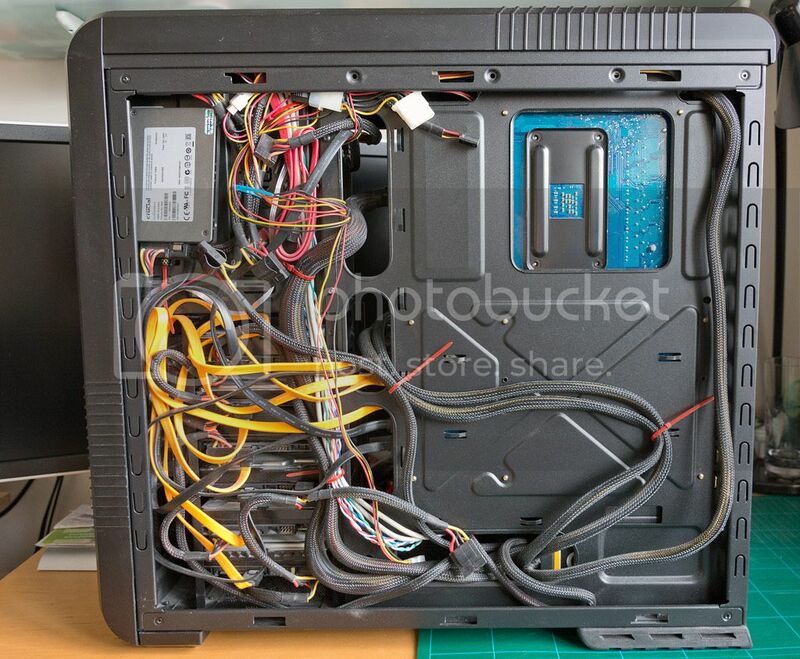 It'd be nice to loose some of those SATA cables, as there are 8 of them in there at present. I really need to get a single 2TB WD black and then i can dump the 200 & 250GB drives too. 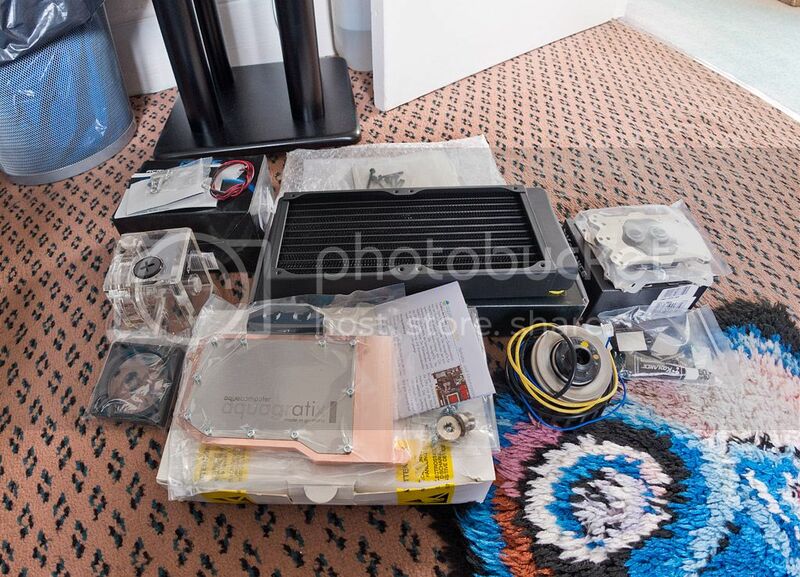 Presently waiting for an alphacool nexXxos XT45 240mm radiator to arrive. I have been up & running for just over a week and I was quite surprised how good the EX has performed and how quietly it has managed considering the demands I've put on it. so you are gonna rip the entire thing apart in a few days? anyways, it does look nice. 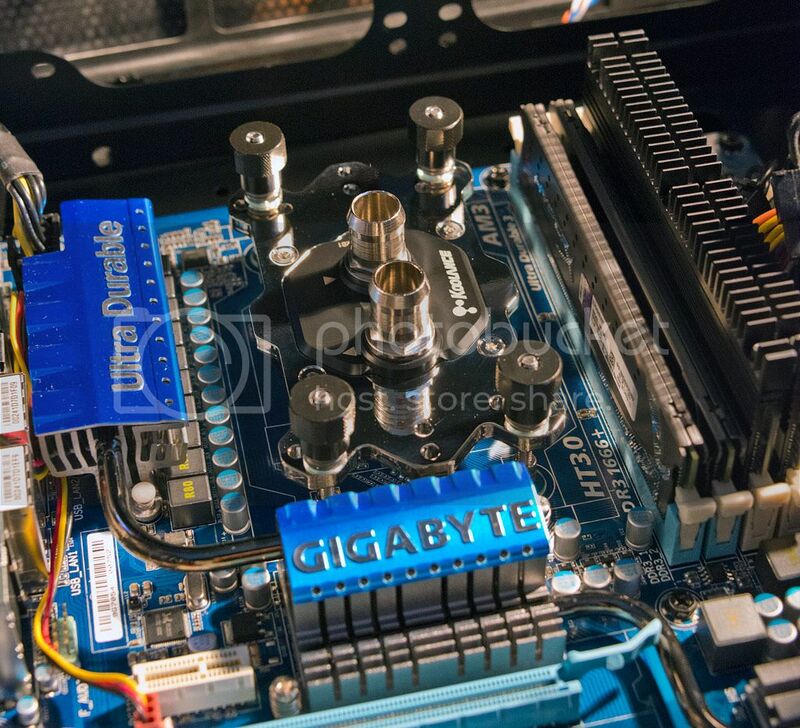 i really like the colour of the tubing/fluid. 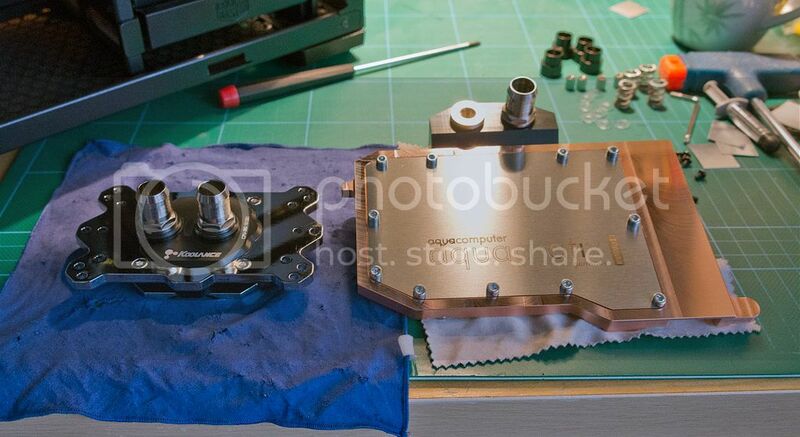 not a fan of the koolance block though, looks kinda ugly with the big thumb screws. 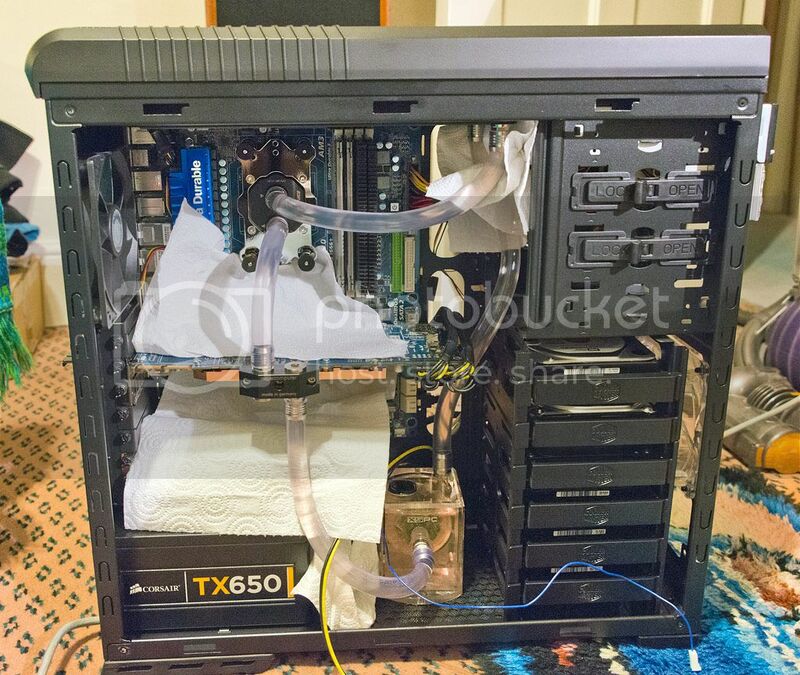 if you are going for overclocks, you are gunna need more radiator(s)..
get away with some decent temps. each other out in use, right? proximity of each deletes their ability for proper function. 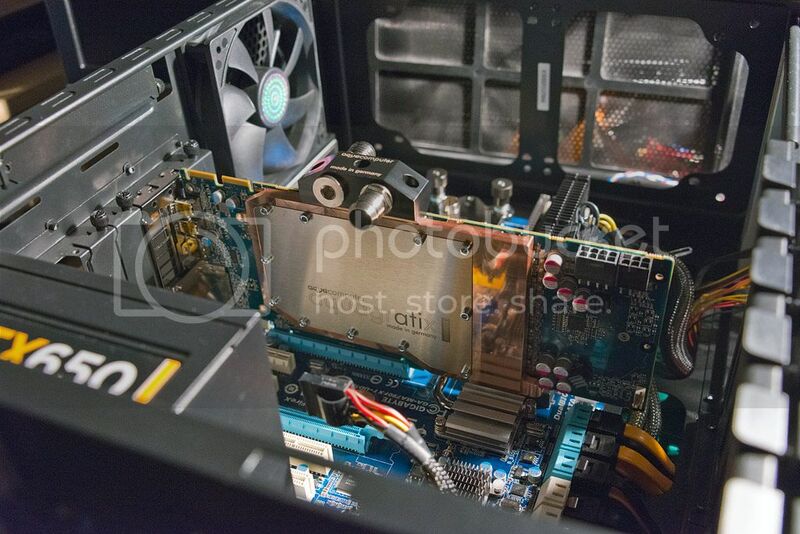 Both side panel fans are intakes as is the front fan. The other 3 are exhausts. Once the second 240mm radiator arrives I will be semi dismantling the loop in order to add it. It'll give me some experience of draining and refilling the loop, hopefully without making a mess. 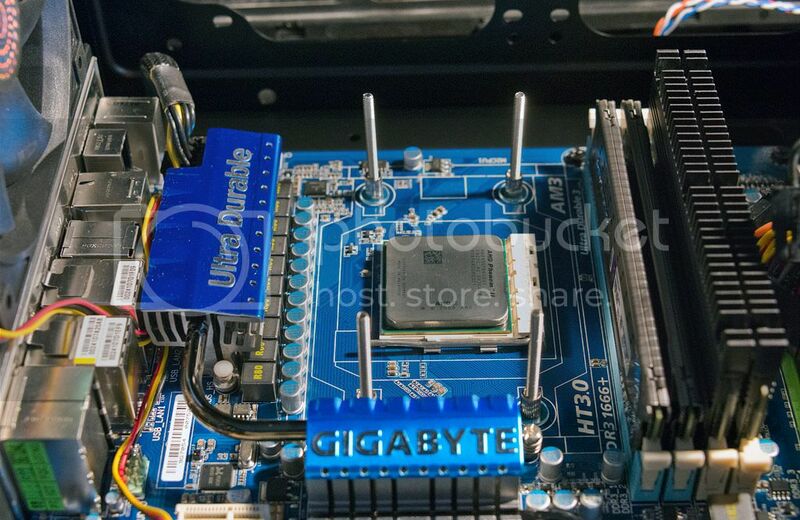 Overclocking wise, I am already as far as my old C2 stepping 955 is willing to go. 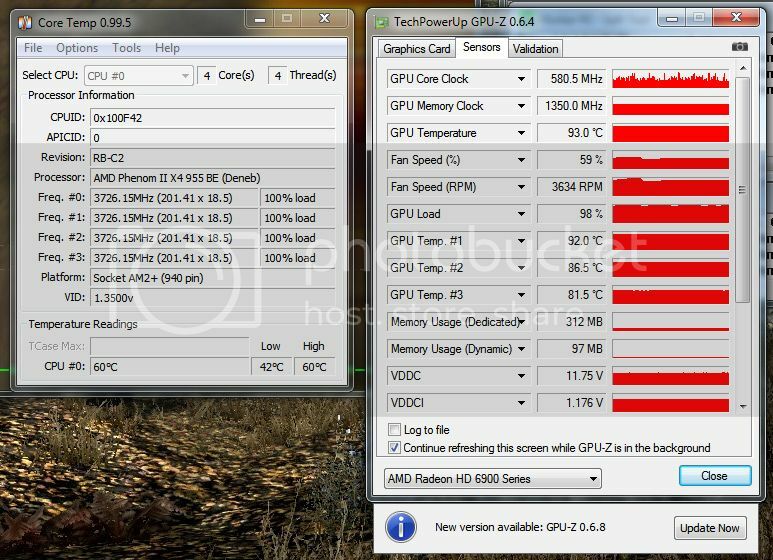 At 3.8GHz it is no longer stable even if the temperatures are good and I feed it more volts. (A C3 stepping would probably be better in this regard) I've been thinking about either going to a 990fx and fx8350 or getting an x6 1090T. The XT45 is a very good rad for low fan speeds, you should see quite an improvement in temps I think. 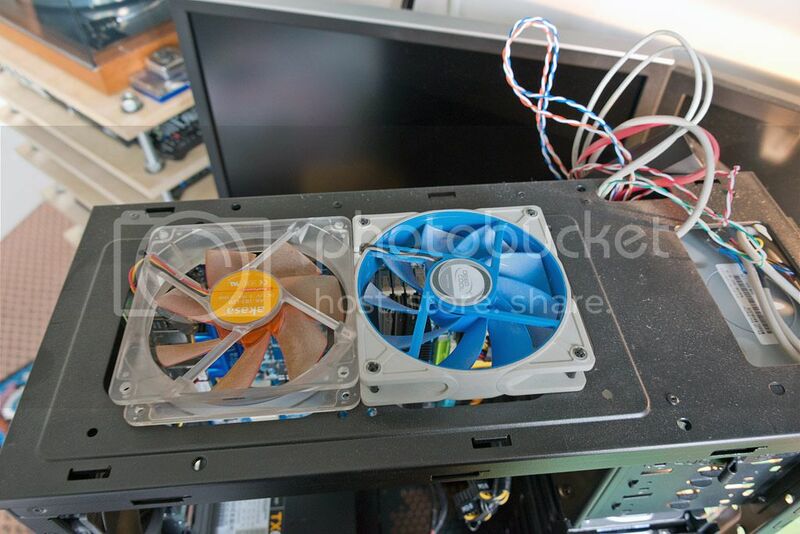 As airdeano mentioned, have you tried out different side panel fan configs? Since it's not that much work to try this out and he raises a valid point imho I think this is worth looking into. 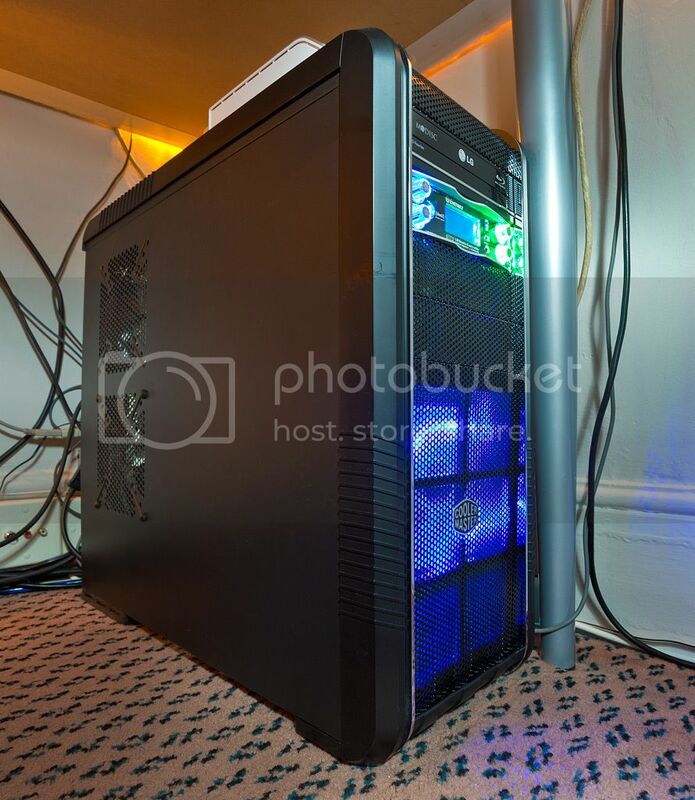 Looking good though, the 690 is a nice case. This is an old pic, but with a 240 in the floor, there isn't much room left. I went with a bay res and was able to cram my pump behind the floor rad between the side panel. 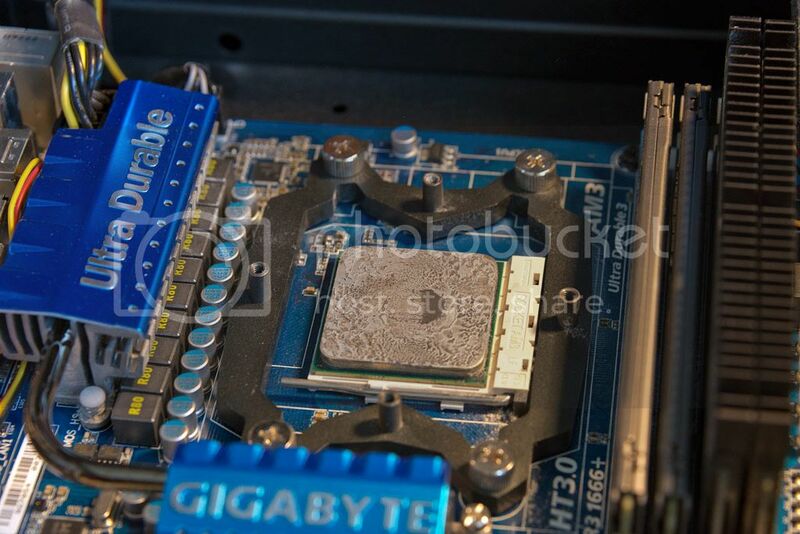 I first thought maybe on top of the bottom radiator, but if looks like it would bump up against the GPU. 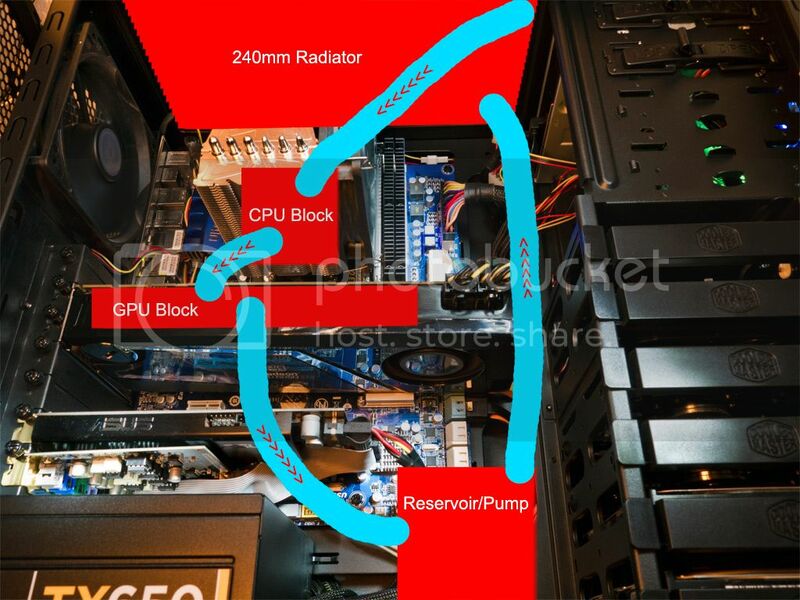 Provided you want to keep this pump/res combo, you might able to squeeze them between the PCI card and the side panel on top of the PSU? Totally unsure, can't tell from the pics. Alternatively, with a bit of improvisation they might be bolted to where the rear exhaust fan is now. But even if that works tube routing is probably going to be neither pretty nor practical. I'm presuming you absolutely need the DVD drive, if not you might be able to squeeze them horizontally into the drive bays.